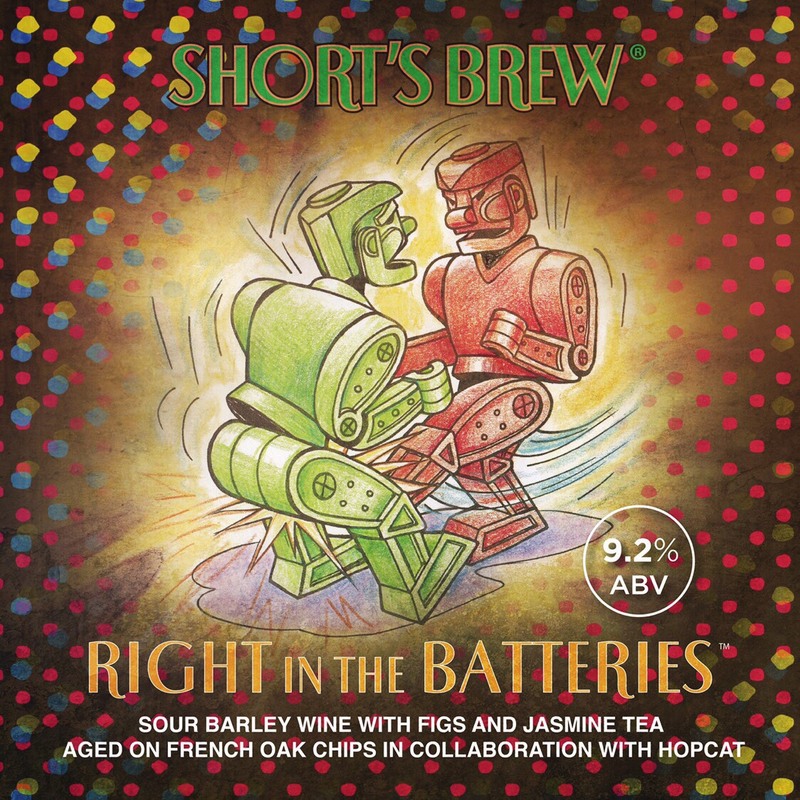 Right in the Batteries is a Sour Barley Wine brewed with figs, jasmine tea, and French Oak chips in collaboration with our good friends from HopCat. This beer is mahogany in color with a tan head. Aromas of raisin, toffee, fig, caramel, chocolate are prominent with hints of floral and oak. Very complex, this beer greets you with flavors of fig, toffee, and raisin. Right in the Batteries has a medium body and a touch of tartness. This beer finishes smooth with flavors of chocolate, roast, and oak.